Piper & Chantry have choreographed this fantastic show, produced by the Birmingham Stage Company in 2013 at Derby Playhouse, 2014 at the Old Rep, Birmingham, in 2015 at the Cambridge Corn Exchange, 2016 at The Lowry, Salford and again in 2018 at The Alexandra Palace. 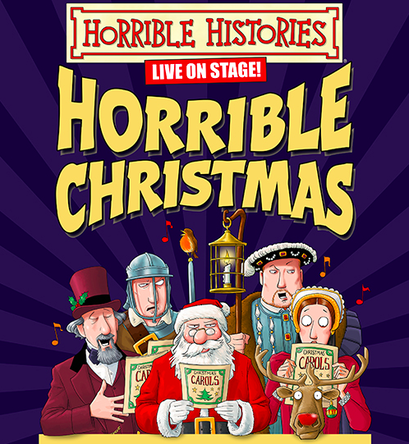 Horrible Histories - Horrible Christmas was directed by Neal Foster and is one of four shows that Piper & Chantry have choreographed for the Birmingham Stage Company. The other shows include Tom's Midnight Garden, Horrible Histories - Terrible Tudors and Vile Victorians, and Gangsta Granny, which was nominated for an Olivier Award in 2018!